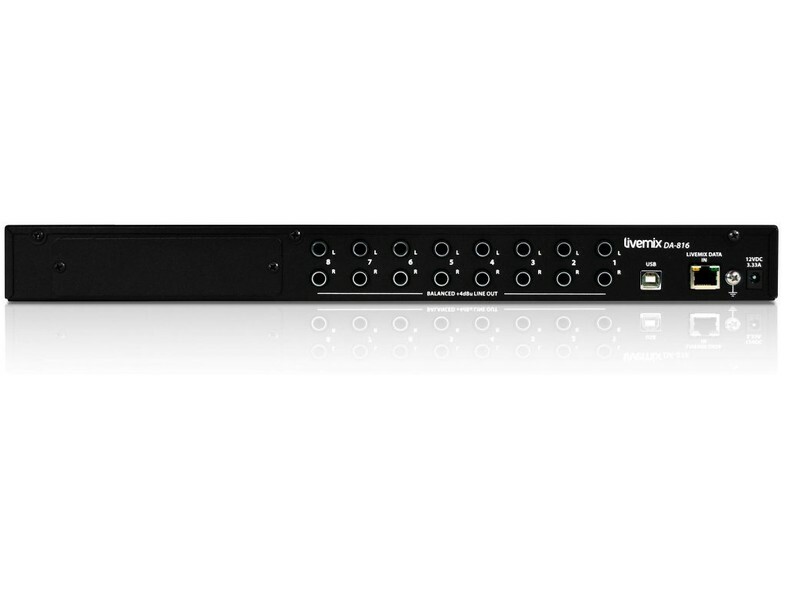 The DA-816 output rack unit is for connecting to wireless in-ear transmitters, powered monitors or powered house speakers. 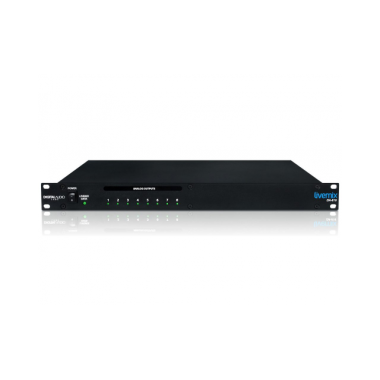 The DA-816 connects to the MIX-16 or MIX-32 via shielded CAT5e network cable. 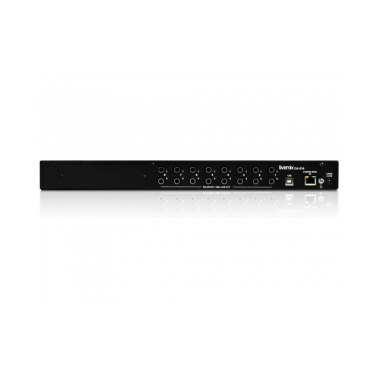 Each DA-816 provides eight stereo TRS outputs. 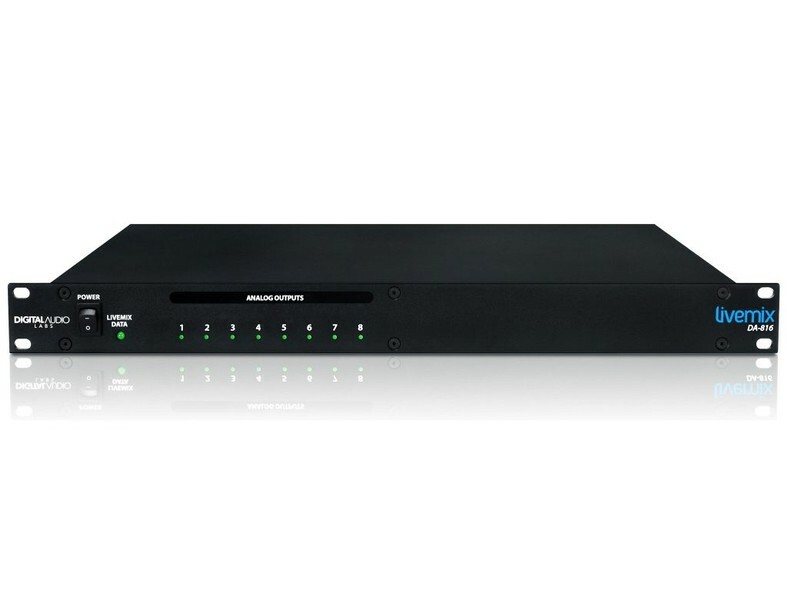 The DA-816 provides stereo balanced outputs for 8 personal mixes. 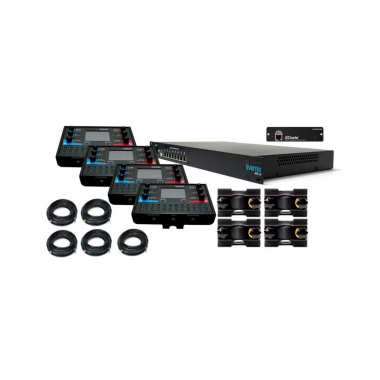 Flexible SoftRoute™ mix assignments and test tone capabilities, make for quick setup. Front panel LEDs indicate a personal mix is assigned to one or more of the outputs. When the Output ID feature is enabled and an output is selected, the front panel LED illuminates and a test tone is sent to the output.